Xmal (or X Mal, X-mal) Deutschland were an important old-school gothic rock band from Hamburg, Western Germany. 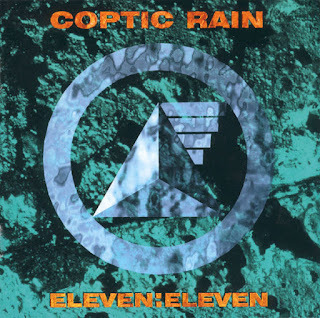 I already have mentioned them in connection with Coptic Rain, but this album (the best in their discography, in my opinion) deserves its own entry. 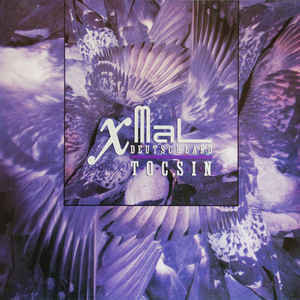 Xmal Deutschland started in 1980 as an all-girl band, and while this album had a different line-up, all vocals on there are female, performed by Anja Huwe with her unique "howling" style. 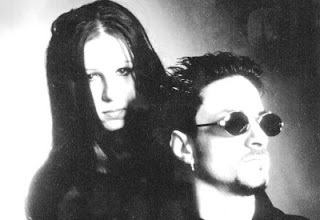 XmalD are often compared to Siouxsie & The Banshees, but I think their music is much darker, more "gothic" than "(post-)punk" or "new wave" etc. In particular, this album sounds exactly how the classic gothic rock should sound IMO. I well remember showing it during mid-2000s to the people whose idea of "gothic rock" were HIM-like bands :) Too bad XmalD had to split up in early 1990s (just like many other interesting 80s' acts), and didn't receive the recognition they've deserved. Still, they managed to release this album on 4AD records, which gave them some international recognition (which wasn't that easy for a band singing primarily in German). The atmosphere on this album is just amazing, which might be the reason why it left a much stronger impression on me than many much better known releases by British goth rock bands from the same epoch. 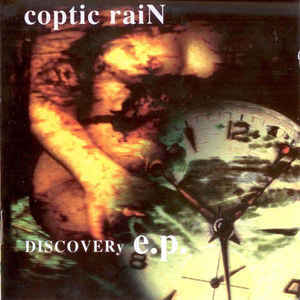 The second album by Coptic Rain, which is similar in many ways to their third (and the best) release "Clarion's End", but with harsher and more diverse sound. The "heavyness" of guitars on "Eleven:Eleven" is roughly the same than on "Clarion's End", but there's more distorted vocals, sirens, etc. There are also several interesting experimental tracks (def. more interesting than the noise interludes on the "Discovery" EP), including "Videodrome" - a homage to the eponymous cult movie by David Cronenberg. 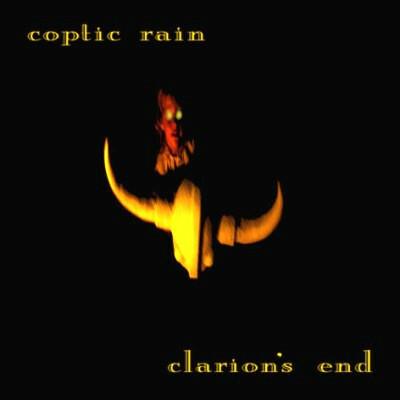 The only weak spot on this album is the cover of Virgin Prunes track (although those who like the debut album of CR, "Dies Irae", might like this track too). Overall, "Eleven:Eleven" is a very good representation of mid-90s aggro-industrial, and the use of female vocals is definitely a plus too. Too bad Coptic Rain had to split up a decade and a half ago without getting much recognition. They surely have deserved more! Автор: Alexander на 11:11 AM 0 коммент. Yes, this is that 1996 Coptic Rain album which I consider to be the best in their whole discography (and one of my all-time favourites in general). 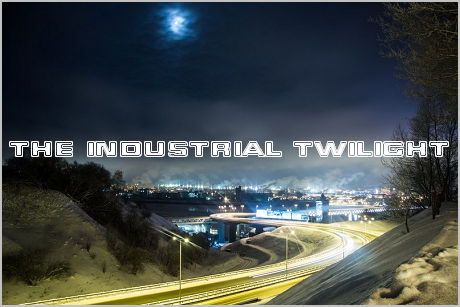 This album is dominated by cathy energetic songs like "The Haunt" or "Cortex Wave", which I'd rather call "industrial punk" than "industrial metal", although it's diverse enough to have even one acoustic ballad ("And All I Loved"). Katrin Radman's slightly distorted vocals sound cold and robotic, yet energetic and touching at the same time - a perfect kind of vocal work for such kind of music. The best song on the whole album, "Rejoice", makes up for its name as I become inexplicably happy each time I listen to it. Highly recommended! Автор: Alexander на 12:57 AM 0 коммент. It isn't hard to tell what this EP is about, from its title: "DisCOVERy". All the covers on there sound better (or at least no worse) than the originals, except for "Bullet The Blue Sky" (the only song on this EP which I dislike). The X-Mal Deutschland's "Polarlicht" cover is especially good, although I love the original Anja Huwe's version of this song too. There are also several short noisy interludes (however, you won't lose much by skipping them). Another Slovenian band that I wanted to post on here for the long time. 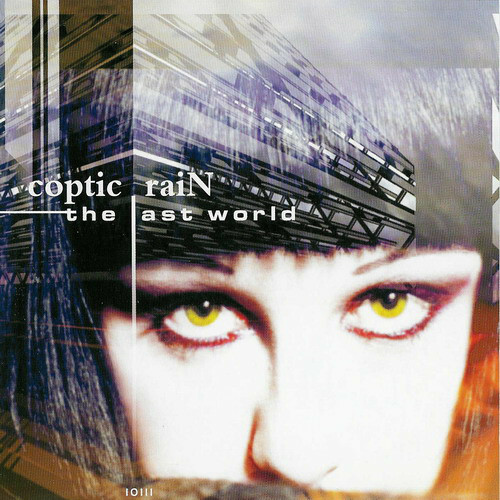 I don't remember how exactly I've discovered Coptic Rain, but they were one of the first aggro-industrial bands (and definitely the first one with the female vocals) I've heard. That was in early 2000s, when the only their songs available to me were "After Hours" on the "old" mp3.com, and several songs from their 1996 album encoded in horrible bitrate (something like 16kbps - remember that it was almost 15 years ago when the internet was quite slow and the size of downloads mattered a lot). In mid-2000s, I finally found their complete discography on a pirate MP3 compilation CD, and I have no words to describe how happy I was. After all these years, they still are among my favourite industrial metal bands (note that their idea of how "industrial metal" should sound was quite different from that of many modern bands). This is the last album in their discography, and definitely the most accessible to an average listener. I like the vocal work of Katrin Radman on there - here voice fits the music extremely well, and reminds me of such female-fronted gothic rock bands as X-Mal Deutschland.